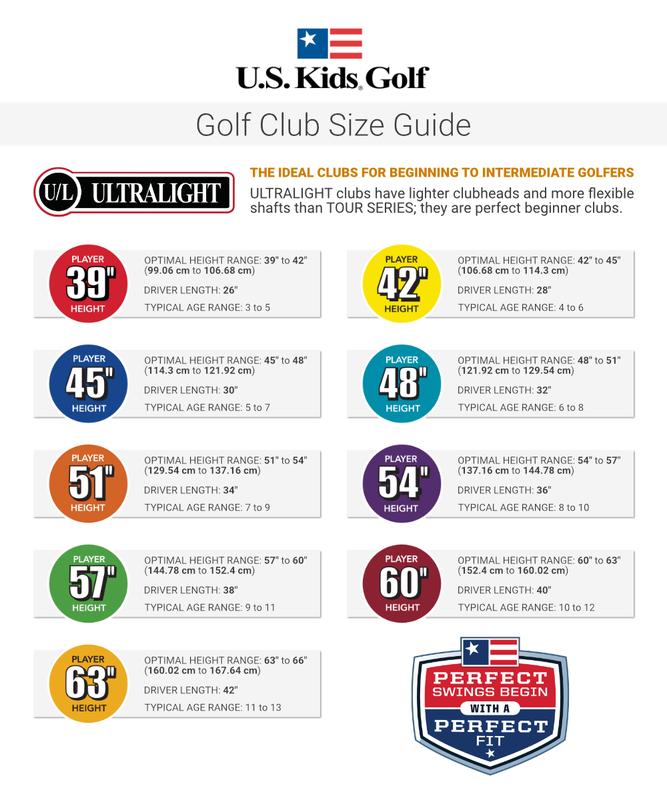 The US Kids Boys UL-57” Package Set comes in a 5 club package that consists of a fairway driver, three irons and a putter. Contains Fairway Driver, 6-Iron, 8-Iron, PW, and Putter. Optimal Height Range 57 in. to 60 in.